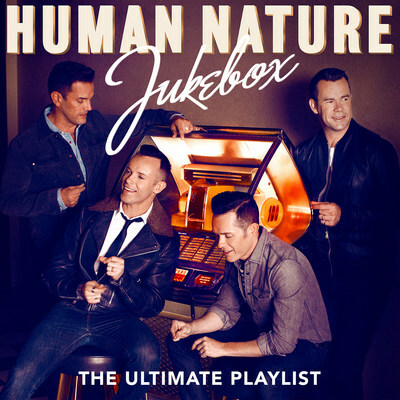 NEW YORK, Sept. 26, 2017 /PRNewswire/ -- Human Nature have earned their place as one of the world's finest pop vocal groups of the modern era and Legacy Recordings, a division of Sony Music Entertainment will release their new CD, "JUKEKBOX: The Ultimate Playlist," on Friday, November 3, 2017. A collection of some of the most-loved hit songs from the best vocal artists and groups of all time, Human Nature "JUKEBOX" features such classics as "Will You Love Me Tomorrow," "Stand By Me," "Unchained Melody," "Be My Baby" and "Under The Boardwalk," reinterpreted with the group's stellar sound as well as two original songs. "JUKEBOX: The Ultimate Playlist," (CD and digital configurations) is available for pre-order now: https://lnk.to/HN_Jukebox. 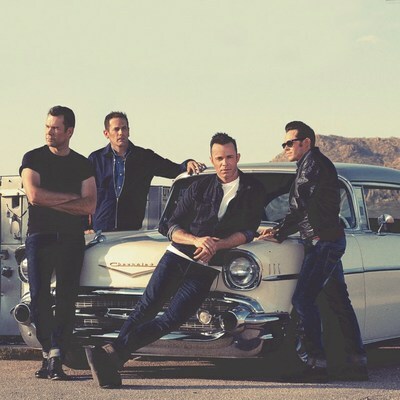 Since their debut in Australia back in 1996, Human Nature have gone on to become known around the globe for their distinctive harmonies and stellar live shows, riding waves to the top of the charts, and have winning over fans all over the planet. The foursome - Toby Allen, Phil Burton, and brothers Andrew and Michael Tierney - recently celebrated their 28th anniversary as a group since forming in high school. In 2009 Human Nature took Las Vegas by storm with an unprecedented residency - a coup for an Australian act. Word spread quickly regarding the boys' prowess and their "Motown Show", earning praise from not only fans but from the great Motown icon and presenter of their debut Las Vegas residency show, Smokey Robinson. In 2016, Human Nature re-signed to the prestigious Venetian Resort Hotel & Casino for a three-year residency at the famed Sands Showroom with their all-new show "Jukebox" – which was recently extended through 2019. In addition to the CD, the album release of "JUKEBOX: The Ultimate Playlist" will coincide with their national PBS special "HUMAN NATURE: 'JUKEBOX' IN CONCERT FROM THE VENETIAN" in November / December 2017 and subsequent USA tour in the Spring of 2018. "For nearly three decades, Australia's Human Nature has been one of the world's foremost pop vocal music ensembles, continually surprising and delighting their fans with fantastic interpretations of classic songs and their own original material," said Adam Block, President, Legacy Recordings. "We are happy to welcome Human Nature to the Legacy family and look forward to bringing their music to a whole new generation of fans in the U.S. and beyond." "This year we celebrated our 28th year together and the release of 'Jukebox' in the USA is a huge moment for us and our career," explains Andrew Tierney. "It's amazing to think the four of us have been doing this and loving this for nearly three decades. We are so honored to be joining such a prestigious label, Legacy Recordings, and unifying our releases with the best record label in the world Sony Music Entertainment." The PBS special is inspired by and based on the group's two Australian multi-platinum selling albums Jukebox and Gimme Some Lovin,' which feature classic '50s and '60s pop standards. The albums were executive produced by the legendary Bob Rock (Michael Bublé, Metallica) and produced by David Pierce (Michael Bublé, Robbie Williams). Pierce joined HUMAN NATURE at The Venetian as a musical collaborator for the JUKEBOX experience. The songs were originally either penned or performed by the likes of The Beach Boys, The Beatles, The Righteous Brothers, Fontella Bass and more. In addition, the group have also included two new 'modern classic' on the album, original tunes, 'End of Days' and 'Forgive Me Now'. Human Nature's, career statistics are staggering. Since signing to Sony Music Australia over two decades ago, Human Nature have sold more than 2.5 million albums, earned 27 platinum awards, scored 17 Top 40 hits and have had five Top Ten tracks worldwide. Standout moments in Human Nature's career to date include performing to a global audience at the Sydney Olympics in 2000, opening for Michael Jackson and Celine Dion at concerts around the world and appearing on television in the USA on shows as varied as The Talk, Oprah, and Dancing With The Stars as well as their own PBS specials Human Nature Sings Motown and the forthcoming Human Nature "Jukebox: In Concert from The Venetian." For additional information visit HumanNatureLive.com or follow them on Twitter and Instagram @HumanNatureLive.